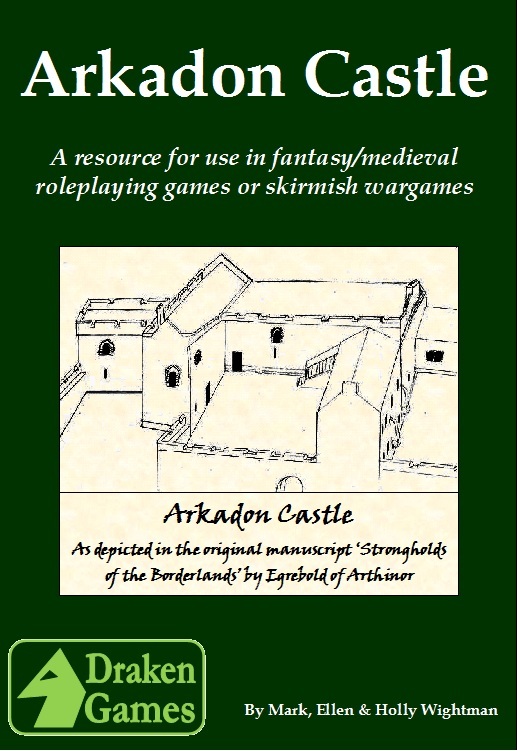 Arkadon Castle is a location resource for use in any fantasy/medieval RPG or skirmish wargame. Full details are given of a small fortified manor house (closely modelled on Aydon Castle in North East England). Plans are given on a variety of scales, including room plans suitable for use with miniatures. You can either print-and-play immediately with the furnished room plans provided, or design your own using the unfurnished generic plans (we've even included a sheet of cut-out beds, chairs, tables, chests etc for you to use if you want). Arkadon is by no means an impregnable fortress, but it's a good base for a scenario set in a dangerous region and a great location for a small battle.